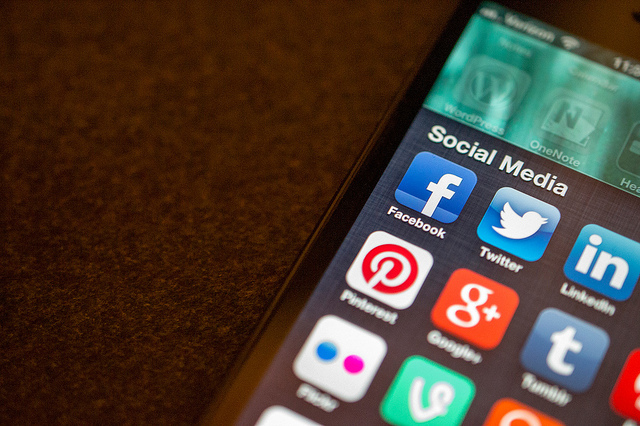 Social media platforms are now a common tool for PR practitioners to manage a crisis. When used correctly, social media allow organisations to monitor the sentiment of people towards a specific situation and to correct rumours rapidly before they become facts. Social media also has the advantage that it can allow an immediate response from an organisation, bypassing the temporal constraints of organising a press conference which is at times subject to the time availability of media channels. 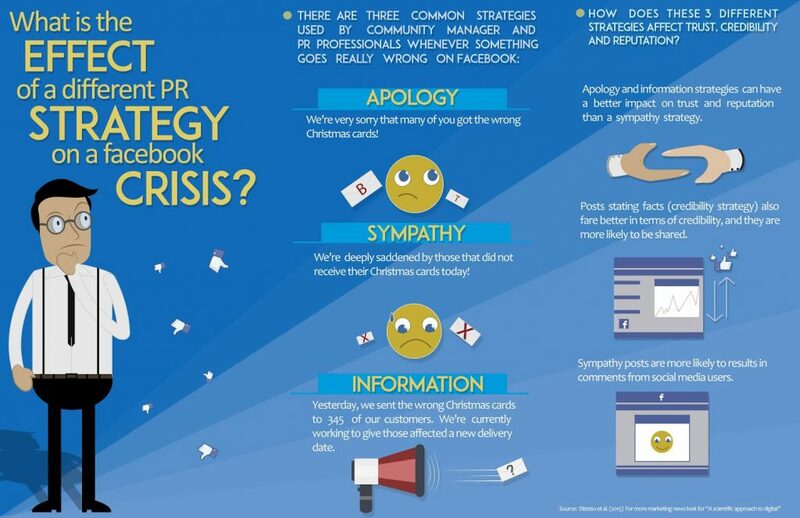 However, what is the tone and best strategy that PR departments should adopt when a crisis happens? A study conducted a series of experiments simulating a crisis at a Hospital facility and exposed random Internet users to three different messages, each representing a different strategy (i.e. apology, sympathy and, information). They then measured the response to those messages on how this may affect the reputation, credibility and trust of the organisation. Apology We accept responsibility for the incident that occurred this week resulting in nine deaths. We hope those who were affected can forgive us. Interestingly in this study, was the effect that a sympathy strategy can have on trust and reputation. The findings from the study suggest a significant negative effect on both variables when this strategy was followed. Regarding credibility, the most positive results were achieved when an information strategy was followed. Facebook posts that used an information strategy were also more likely to be shared on social media, whereas users were more likely to comment on the sympathy posts. Apology and information strategies can have a better impact on trust and reputation than a sympathy strategy. Posts stating facts (credibility strategy) also fare better in terms of credibility, and they are more likely to be shared. Sympathy posts are more likely to results in comments from social media users. Picture by Jason Howie under CC license.